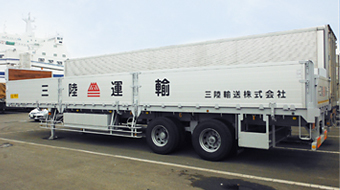 Intermodal Freight Transport | Sanriku Unyu Co., Ltd.
We provide sea-land intermodal freight transport services that save on shipping costs for customers and help reduce the environmental loads associated with freight transport*. 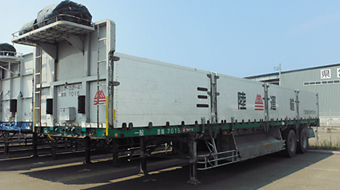 Intermodal freight transport provides for the seamless movement and transfer of freight using a combination of vessels, railways, and trucks, and thus achieves lower shipping costs and greater efficiency. 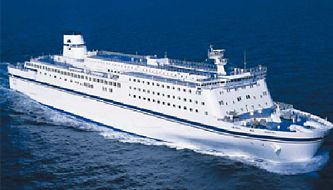 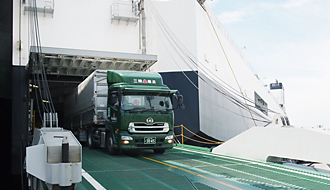 We work closely with other companies in the Kuribayashi Steamship Group and ferry operators in providing high-quality intermodal transport services. 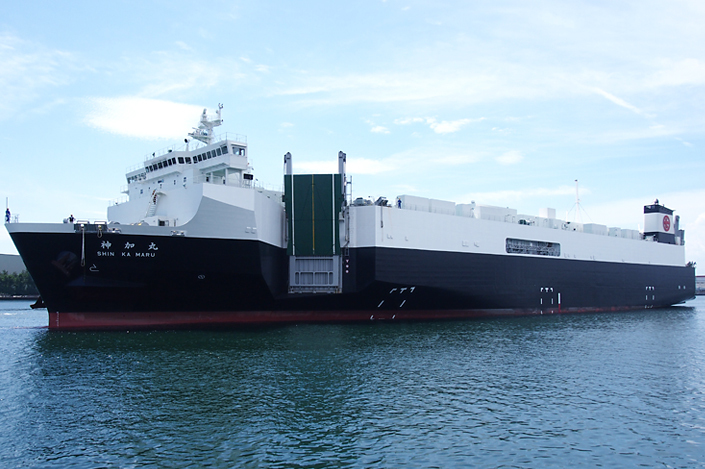 *We received an award from the director general of the Maritime Bureau of the Ministry of Land, Infrastructure, Transport and Tourism in 2010 for achieving excellent performance in practicing ecological awareness and achieving a modal shift (Eco-ship Modal Shift Project). 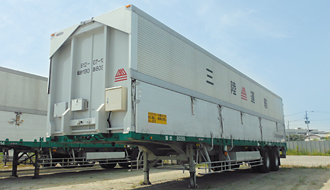 We use flatbed trailers and wing van trailers depending on customers' needs and the type of cargo to be hauled. 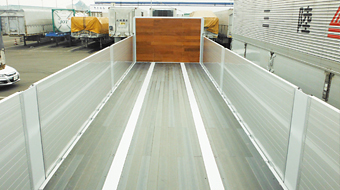 The flatbed is made of corrosion-resistant foaming resin.